Quezon City: ALI's Vertris North should be "transformational"
Quezon City: ALI's Vertris North (& related) should be "transformational"
It has lacked a clear and popular "heart" and ALI's place-making skills may provide that at Vertis North, where there will be a large mixed use development, feature malls, a CBD, and some good quality housing. 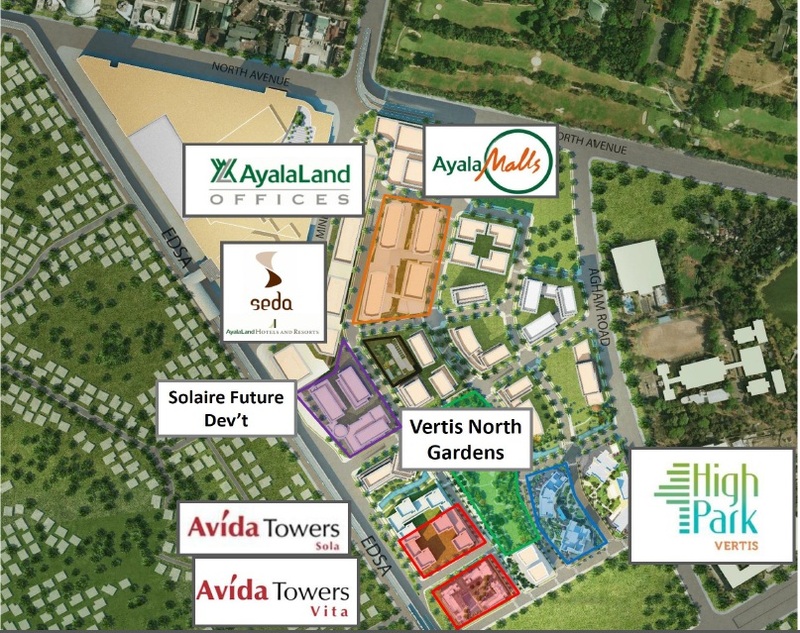 Vertis North brings new energy to Quezon City as its up-and-coming central business and lifestyle district. The strategic gateway to and from the North takes the emerging Asian hub to a complete mixed-use focal point. A green core for responsible living. A growth accelerator for every scale of business. An address presenting a full range of opportunities, master-planned for centrality, connectivity, and efficiency. Leading the concept of a City Center, synergized by a destination so complete. This is right at the conjunction of the MRT and LRT-1, as well as new highway arteries, and there should also be improving access to Clark airport - a rail link maybe? The lawyer for Balintawak Cloverleaf Market Corporation (BCMC) has accused the Quezon City government of getting rid of them to give way for a P25-billion development project by Ayala Land. THE QUEZON City government has given affected vendors a week to prepare for the impending closure of eight privately owned markets in the Balintawak area, which have been found in violation of sanitation and safety regulations. The market operators were earlier told to upgrade their facilities in accordance with the development plan for Balintawak-Muñoz, which has been identified as a growth area for the city, according to Mayor Herbert Bautista. But the operators had “shown no interest” in making improvements, prompting City Hall to conduct an interdepartment inspection on Thursday “to call their attention,” said Marilou Arrieta, officer in charge of the local government’s Market Development and Administration Department. Due to their noncompliance with sanitation, waste management, fire safety and other related ordinances, these operators had not been given business permits since last year. “The bottom line is that they really have to develop the area. If they want to continue operating as a market, they have to follow the standards. And you need time to do that,” Arrieta said. A consortium between Ayala Corp. and Metro Pacific Investments Corp. assumed the operation of Light Rail Transit Line 1 (LRT 1) over the weekend, taking over what it described as a “severely deteriorated” elevated train system. The 20.7-kilometer LRT 1, the first elevated commuter train in Metro Manila, stretches from the Muñoz station in Quezon City to the Baclaran station in Pasay City. The move marks the first turnover of a train system under President Aquino’s public-private partnership (PPP) program. The initiative has placed heavy focus on transport-related projects, like trains and expressways, to help combat massive traffic jams, like the multi-hour gridlock that struck Metro Manila on the night of Sept. 8. Ayala and Metro Pacific-backed Light Rail Manila Consortium (LRMC) on Monday said it took over the operations and maintenance of LRT 1 on Sept. 12. Also part of LRMC is Macquarie Infrastructure Holdings (Philippines) Pte. Ltd.
Commuters have complained about poor facilities at train stations like toilets, which LRMC says it will address. “LRMC is committed to improve the public’s riding experience over time and gradually bring the LRT 1 system to better operating levels,” the company said. LRMC was the sole bidder in the LRT 1 PPP deal after six other groups—San Miguel Corp., DMCI Holdings, Malaysia’s MTD Group, Megawide Construction Corp., Globalvia Inversiones of Spain and Ecorail of the Romero family—did not submit offers. Some of those groups cited the PPP deal’s lack of viability given the condition of the train line. Ayala and Metro Pacific had offered the government a premium of P9.35 billion to win the project. Ayala is into telecommunications, banking, real estate development and water services while Metro Pacific’s portfolio spans water services, electricity retail, toll roads and hospitals. Together, the two had won the automated fare collection system PPP, a tap-and-go fare payment system for LRT 1, LRT 2 and MRT 3 now being implemented. The objective is to eventually replicate a broader payments system similar to Hong Kong’s Octopus card. The two conglomerates are also bidding for the LRT 2 PPP and possibly, the P171-billion North-South Railway Project that would rehabilitate the 478-km line from Tutuban, Manila, to Legazpi City, with possible spur lines extension of 58 km from Calamba City to Batangas City and 117 km from Legazpi City to Matnog, Sorsogon province. Metro Pacific chair Manuel V. Pangilinan said in a statement on Monday that the takeover of LRT 1 came after months of preparation. “We consider the DOTC and LRTA to be our partners in this project and will work to improve the line over time, and make it a system that our commuters will not only enjoy riding, but one they can be truly proud of,” Pangilinan said. In the same statement, Ayala chair and CEO Jaime Augusto Zobel de Ayala said both the government and private sector had commitments to meet under the concession framework. “It is imperative that we work together to ensure the successful delivery of this project for the benefit of the riding public,” Zobel said. Filinvest's Activa - at the junction of MRT 3 and LRT 2. 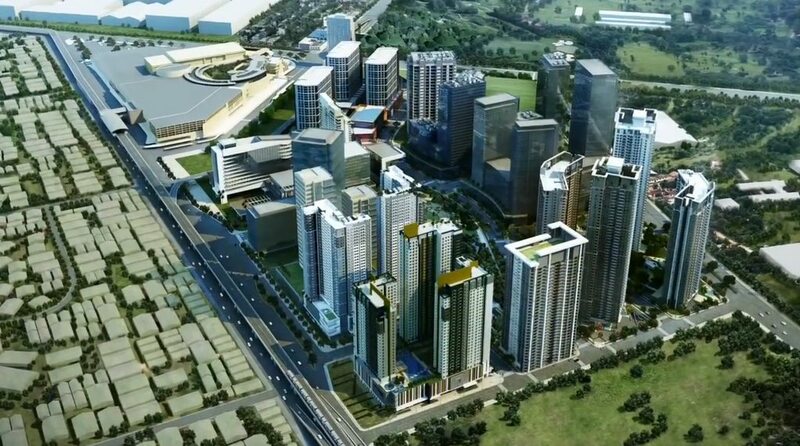 MANILA, Philippines – The Gotianum group’s Filinvest Land Incorporated (FLI) said it will start developing a 1.3 hectare property in Cubao, Quezon City into a mixed-use transit-oriented development called Activa in 2016. Activa will have a total of 4 buildings, two of which will be office towers geared towards the business process outsourcing firms, said FLI president Josephine Gotianun-Yap in an interview during the company’s annual stockholders meeting held Friday, May 8. She added that the mixed-use development will also have a residential condominium, a commercial development and a hotel. The 1.3 hectare property was acquired by FLI from the Ramos family of National Book Store for close to P1 billion ($22.4 million), although Yap did not disclose the total investment cost of Activa. Yap pointed out that Activa is strategically located at the junction of two busiest mass rail systems in Metro Manila, the MRT 3 and LRT 2. San Miguel Corp broke ground from the new railway from Quezon City to San Jose del Monte, Bulacan. The project will be operational in April 2020 and have 14 stations, and is being built by SMC's infrastructure subsidiary, San Miguel Holdings, Inc. It will have a capacity of 350,000 passengers per day. And at peak hours, will accommodate 28,000 passengers per hour, scalable to 38,000. Plans are being made to raise the daily capacity to 800,000 passengers per day. This will significantly lessen travel times, and reduce traffic congestion. "Apart from freeing up road space and being more efficient... it can open a world of opportunities. For wage earners, it means having more choices of places to work (and to live," said the company. Once the MRT-7 is built, it will only take 30 minutes travel time end to end, compared to the current two hours (or more.) It is also expected to attract park-and-ride users, parking at the NLEX terminal, and riding the rails from there. Is Quezon City the most competitive Highly Urbanized City in the PH? Makati City was second last year, but has dropped off the list of leaders. At its total height, the tower — called Philippine Diamond Tower — would be the country's tallest ... will also house an international convention centre, a five-star hotel, a shopping mall, restaurants, ... However that may be, the project is covered by a loan from the Japan International ... 11/8/2017 1:00:55 AM. I visited AyalaLand's Vertis North project in Quezon City today. It was the first time I had seen it in person, after looking at maps, floorplans, and other images for about two years. In fact, it looked better than I had expected, and I think a good investment case can be made. But you may have to move fast, for reasons I will explain. + The Transport angle: Vertis may turn out to be the "best connected" location in PH. 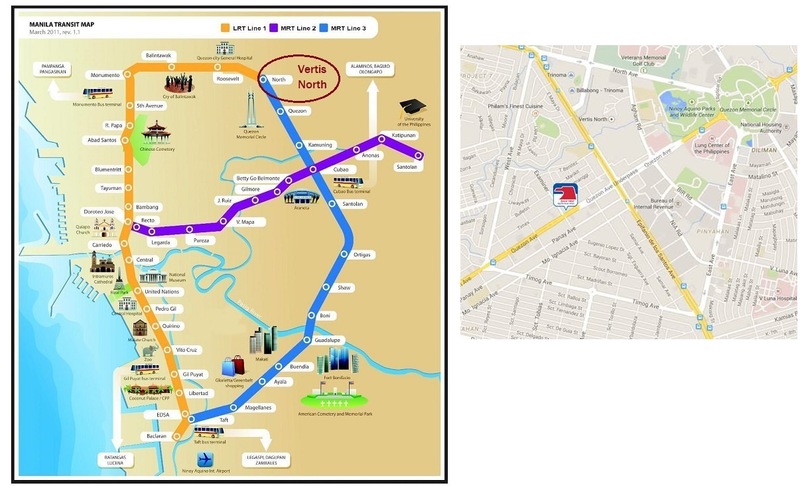 Within the next 5-10 years all of Manila's major railways may connect thru Vertis: The EDSA/MRT-1 line (at North Station), The LRT, MRT-7 to Bulacan (& maybe going on the Clark, and probably the first station of the recently approved Mega-Manila subway. MRT-1 now services North station, and there is room for major improvements on that line when the new contractors take over in 2018 (as expected.) The big improvement in connectivity to the airport will be in maybe 5-6 years if the Mega-Manila subway is completed "on time." Then, the journey to NAIA might be something like 30-40 minutes, with easy connections to Clark airport sometime in the future. (I may have some more private notes on specific opportunities to those who may have a deeper interest - please contact me.